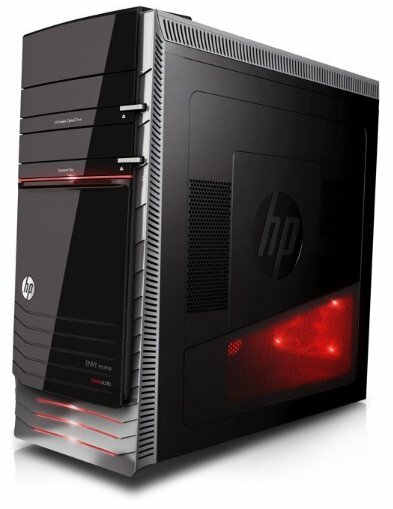 HP previews the Envy Phoenix h9, an upcoming Intel Ivy Bridge desktop PC with Windows 8. The system appears to feature a BTX layout, with an "armor-plated" design, toolfree HDD bays, fancy red LED fans, and some cable management to improve airflow. The system will start shipping on October 26th with pricing starting at $899. Buyers will be able to choose between AMD and NVIDIA graphics cards, you can throw some SSDs into the mix and liquid cooling is also available.